AR 450 Steel is out standard material for ALL Screeds and Floor Plates. But, at your request, we can upgrade to AR 500 or Chromium Carbide. We have been setting the standard in the industry for wear plates. We’ve raised the bar again and are offering our chromium carbide screeds and floors. 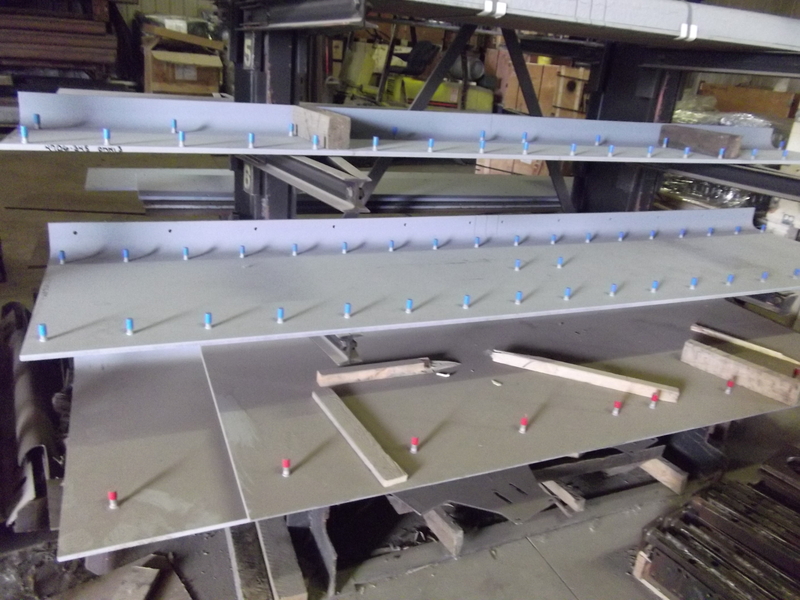 Our ACEbond screed plates have proven themselves to last at least four times longer than the OEM screeds. Using actual logged information by our customers, we’ve found that the savings over the life of a chromium carbide screed is between $12,000 to $13,000 depending on the make of screed. In addition, they’re also winning “mat-smoothness” awards as well. They’re managing to do this because we’ve taken the extra expense of having them produced with “fusion-bonded” and “sub-arc” welded overlay. 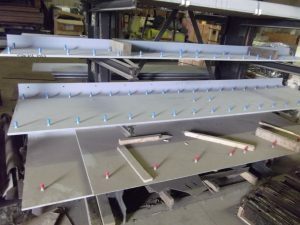 In this process, the base metal is rolled before the application of chromium carbide, then submerged in flux, which will keep the base metal cool, while protecting it from spatter. This gives you a more flexible plate that has fewer blemishes and imperfections in the surface, which means a smoother mat for you. Because ACEbond has a lower co-efficient of friction, the new polymer mixes of asphalt don’t require the screed temperature to be turned up either. In addition, we also provide screeds in Hardox AR450 as well. For many applications, this is perfectly adequate and the quality is equal to or better than OEM.